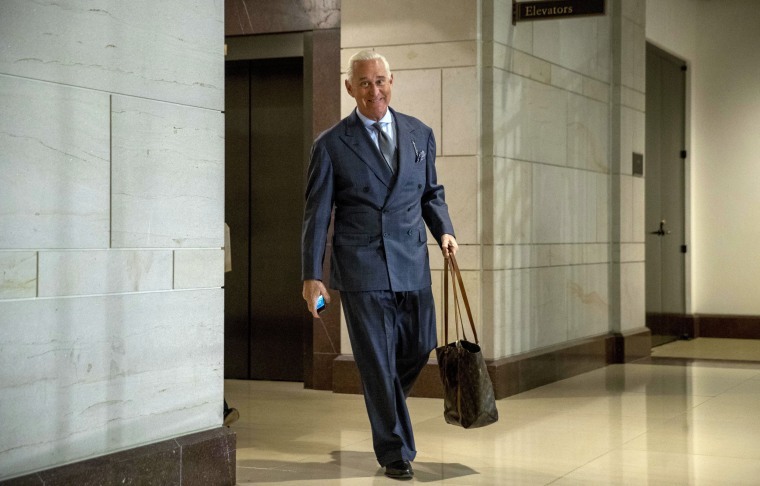 Some legal experts say that Trump's praise of Roger Stone on Twitter counts as witness tampering. If you think Trump is acting rattled now, the next few weeks could be even rougher, NBC's Ken Dilanian and Tom Winter write. Michael Cohen has resigned himself to taking the fall for Trump and quickly confessing, the New York Times writes. Paul Manafort tried to cut a deal with Ecuador to hand over Julian Assange. Jerome Corsi has filed a formal complaint against Robert Mueller. After criticism, Gina Haspel will brief senators on Jamal Khashoggi's death. Despite a "truce," Trump has chosen trade hard-liner Robert Lighthizer to lead trade talks with China, the New York Times reports. POLITICO writes that Trump is handling the death of George H.W. Bush with "abnormal normality." THE DEM AGENDA: A “Hispanic problem”? The Washington Post writes that freshman Democrats are telling their leadership to focus on legislation, not investigations. POLITICO takes a look at Democrats' "Hispanic problem." Fraud allegations in NC-9 are causing confusion about what might come next after the state elections board declined to certify the results, Leigh Ann Caldwell writes. The investigation of fraud in NC-9 centers on an operative who worked for Republican Mark Harris despite a criminal history. Congress will punt its government shutdown deadline to December 21. Stacey Abrams is looking at running again for governor or for Senate. One problem for presidential hopefuls? There are too many of them and not enough minority staffers, POLITICO points out. Don't forget: New Hampshire Secretary of State Bill Gardner's fate will be decided this week. Democrats in Iowa say they're looking for a younger presidential candidate. And Democrats are making a big early investment in Virginia's state legislative races next year.